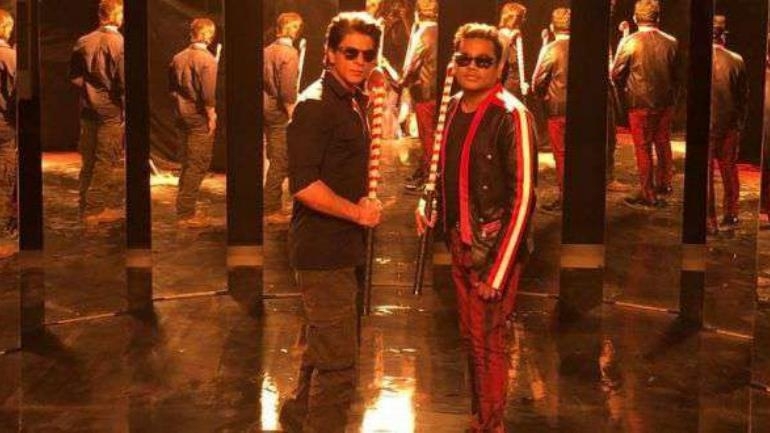 WTN- Shah Rukh Khan and AR Rahman will come together to featured in the World Cup song composed by Rahman for the Hockey World Cup 2018. Both will be at the opening ceremony of the tournament. Shah Rukh recently uploaded a photo of the two, showing us a glimpse of their collaboration. In his caption, he wrote, "Spent a few hours with the prides of India...Hockey & @arrahman and the talented #ravivarman Thank u the whole team for making me feel so wonderful. #HeartBeatsForHockey." The song composed by AR Rahman is titled Jai Hind Hind, Jai India and are penned by lyricist Gulzar. The 2018 Men's Hockey World Cup will be the 14th edition of the Hockey World Cup field hockey tournament. It is scheduled to be held from 28 November to 16 December 2018, at the Kalinga Stadium in Bhubaneswar.